We believe that women entrepreneurs can have an edge on success over male entrepreneurs. Edges matter when investing. And the numbers back this up. One of the most obvious reasons to invest in women is that women control the vast majority of household spending. So unless you are a business which is focused mostly on men, women are more likely to better understand the customer perspective. Or maybe its because women are often better at building long-term relationships than men which benefit a business as only so much can be achieved without trust … with employees, customers, suppliers, shareholders, government, etc. There is also the factor of having diversity in a leadership team. Multiple studies including Kellogg’s Better Decisions Through Diversity argue that “socially different group members do more than simply introduce new viewpoints or approaches … diverse groups outperformed more homogeneous groups not because of an influx of new ideas, but because diversity triggered more careful information processing that is absent in homogeneous groups.” In a world of information overload, having better information analysis capacity gives you a competitive edge. 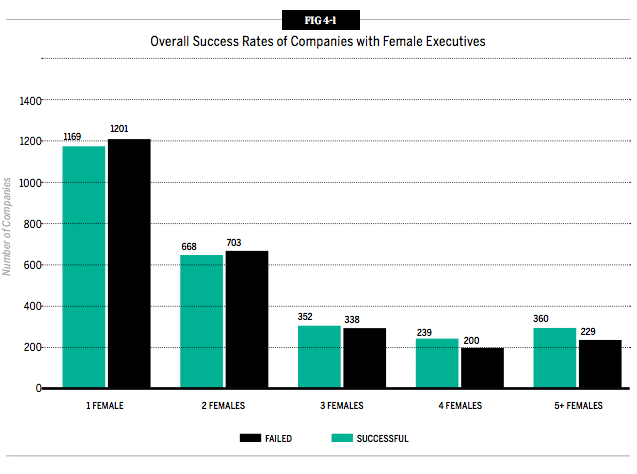 the overall median proportion of female executives in successful companies is 7.1%, compared to 3.1% at unsuccessful companies. 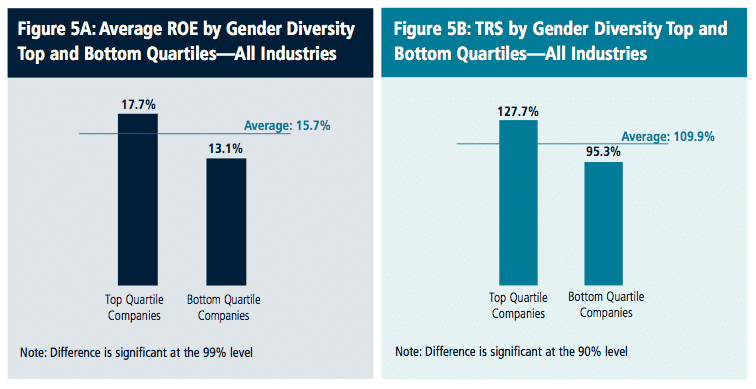 statistically significant evidence that there is a dependence between a company having female executives and its success. 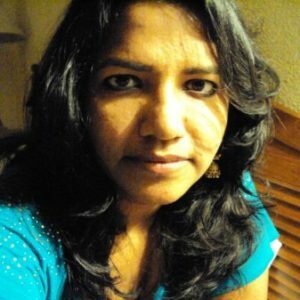 We have just made our first investment in a female CEO, Surga Thilakan of iSTAR. And we’re talking with several more. 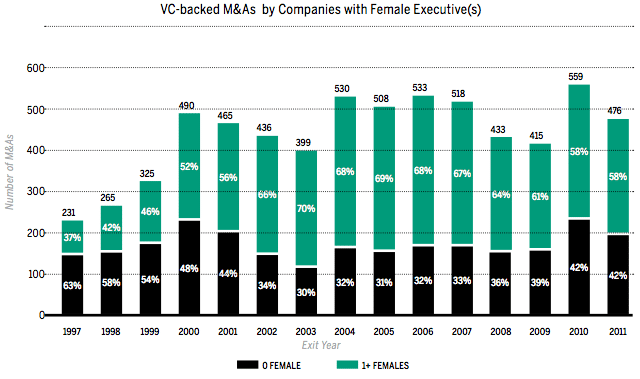 Bottom Line: We are actively seeking to make more investments in female entrepreneurs. We are also looking for more female venture advisors to join our fantastic group of mentors for our portfolio companies. If you are interested in providing support to female (or male!) entrepreneurs, please contact us.